Born and raised in Seattle, Mary has the ideal foundation for understanding the real estate market representing both sellers and buyers. She earned a liberal arts degree from the University of Washington (a very long time ago) and went directly to work in the commercial real estate industry for CB Richard Ellis negotiating leases and sales of industrial properties in the Kent Valley. This knowledge, coupled with her tenacity and passion for client services, has provided her with valuable skills that she uses daily in real estate negotiations, educating homebuyers and sellers, and effectively marketing her listings. Mary has been in the real estate industry for over 26 years and is a consummate professional in her field. Mary’s clients often describe her as detail-oriented, proactive, and willing to work tirelessly. Mary has been one of the top real estate brokers in her office for the past 12 years. Clients choose to work with Mary for her full service approach, experience and expertise. She has consistently shown the ability to satisfy clients in buying and selling of their homes. Her strong base of loyal and repeat customers, attention to detail, focused approach, tenacity and vested attitude is the reason Mary has been so successful in her tenure at Windermere. 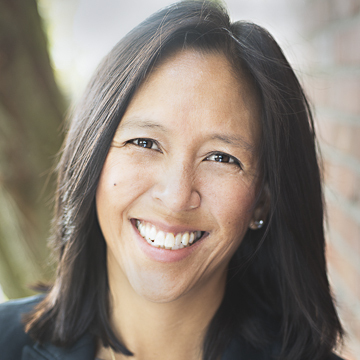 Mary’s extensive knowledge of the Seattle residential real estate market is unparalleled. Her clients have consistently sought her advice and trusted her judgment in all aspects of a transaction. She prides herself on giving all of her clients the most precise and up-to-date feedback on the state of the market, its trends, comparable sales and property values, giving them a realistic outlook on what they can expect to achieve in today’s market. Mary epitomizes integrity, energy, hard work and creative solutions in every detail of your real estate transaction. In her spare time, Mary enjoys discovering new places by road tripping with her children and her dog, Boise, and passes the winter months by snowboarding. She is an active volunteer at her children’s schools, the Queen Anne Helpline and has a passion for helping others. Mary is inspired by what lies ahead, is always excited about the future and genuinely cares about your success.